CHARLOTTE, NC – Headlines Barber Shop held its 2nd Annual Cookout for a Cause on September 28 at Reedy Creek Park. 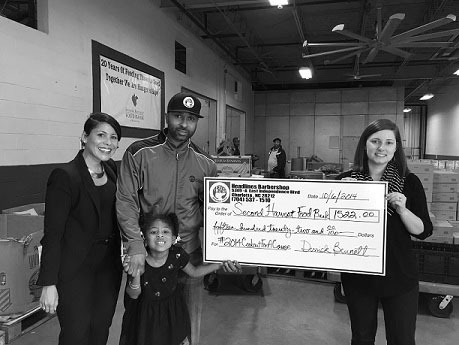 Last year’s event was a great success with the barber shop collecting enough money to provide over 5,000 meals to Charlotte families in need. This year’s tally was 10,654 pounds of food which equals 7,102 meals to Charlotte families in need. All proceeds from the cookout were donated to the Second Harvest Food Bank of Metrolina. Nearly 100 people attended the free cookout. Money was raised three ways: through the sale of raffle tickets, through a silent auction and through cash donations.